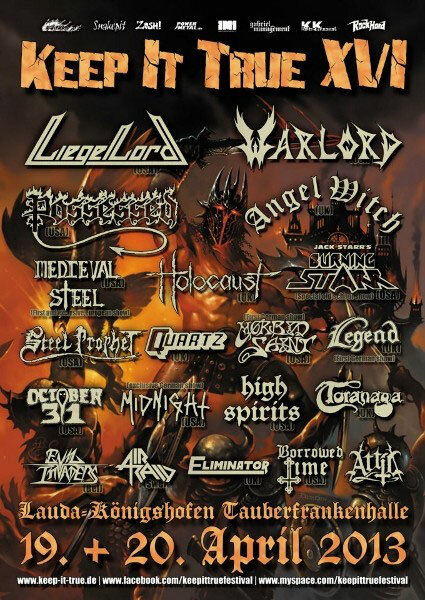 Heavy Metal festival KEEP IT TRUE XVI is held in Germany on April 19 and 20, 2013. Following bands appear there to perform. Unfortunately RAZORWYRE had canceled their performance because of their drummer's broken arms. Belgian Speed Metal newcomers EVIL INVADERS will be there as the replacement. See more info on Keep It True website and Keep It True Festival page on facebook. All tickets have already been sold out.